Miami family law attorney Sandy T. Fox, principal of The Law Offices of Sandy T. Fox, P.A., is a passionate and experienced family and marital law practitioner, dedicated to providing his clients with high quality legal representation. A long-time resident of Florida, he is licensed by The Florida Bar. Mr. Fox is a board certified marital and family law specialist by The Florida Bar and a National Board of Trial Advocacy Board Certified Family Law Trial Advocate. Mr. Fox is AV rated by Martindale Hubbell, a peer review system through which other lawyers have evaluated his professional abilities and ethical standards, and determined that he ranks at the highest level of professional excellence. He proudly serves clients in Miami-Dade, Monroe, Broward, and Palm Beach Counties, and throughout South Florida. Mr. Fox’s passion for family and marital law issues is well recognized within the Florida legal community. He is a member of the Family Law Section of the Florida Bar, as well as a member of the Broward County and Miami-Dade Bar Associations. Mr. Fox is also a Board Certified Family & Marital Law expert the highest level of recognition that is granted by the Florida Bar. This certification is highly selective and is awarded to only a limited number of Florida practitioners who have demonstrated an exceptional proficiency in matters of marital and family law through supplemental examination, education, and peer evaluation. It is used by the Florida Supreme Court to designate those attorneys who are considered experts in their field by their fellow practitioners. As a Board Certified Family & Marital Law specialist, Mr. Fox provides his clients with excellent representation in the courtroom, but also emphasizes the use of negotiating techniques and instruments where appropriate in order to save clients the time and expense of litigation. 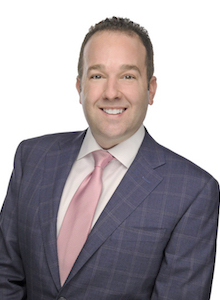 His specialties include litigation for high net worth divorce proceedings, drafting and negotiating prenuptial and postnuptial agreements, helping parents resolve child custody and child support issues, and providing guidance on the use of parenting plans and parenting coordinators. As a South Florida family law lawyer, Mr. Fox is sensitive to the complex emotional issues that often arise during family and marital conflicts. He takes very seriously the immense responsibility of helping clients navigate these difficult issues, and is committed to providing clients with compassionate advocacy that minimizes turmoil and expense. Mr. Fox works with his clients to resolve their legal issues as quickly and effectively as possible in order to avoid prolonged conflict, and allow them to move on with their lives. As a compassionate legal representative, Mr. Fox also believes that all clients are entitled to personalized attention and a hands-on approach for their legal matters. He prides himself on his ready availability, immediate responsiveness, and dedication to each individual legal concern. If you are facing the prospect of a family or marital legal issue, it is important to seek out a qualified family and marital law attorney who will help you to understand your rights and legal options. Especially in times of emotional distress, you need an advocate who you can trust to represent you inside and outside the courtroom. As an experienced and Board Certified Marital & Family Law specialist, Mr. Fox has the knowledge and expertise to help you obtain the resolution and peace of mind you deserve. Call us today at 800.596.0579 or contact us online for a free initial consultation.